We go on vacation is to de-stress, explore and get-away-from-it-all. And vacations are often a way to feed our need for wellness. So instead of heading to that crowded, exhausting touristy, or cheap-and-easy destination. Why not choose a destination that is all about wellness.Hey, it's your vacation. Make it worth your while and your money. Check out my list of the top ten wellness travel destinations. Selections include a coastal tree house retreat, an A-list celebrity wellness mecca and even a posh bikini boot camp retreat in Mexico aimed at toning your body and inspiring your spirit. What makes a destination, wellness-focused? 2. M: stimulates the mind, unusual surroundings compared to your everyday life. 3. B: Stimulates the body: Does it get your blood pumping? 4. R: Stimulates relaxation: At some point in your trip do you realize, "Hey, I can't move. My body feels as limp as jell-o. And I kinda like it." 6. Z: Stimulates emotional balance and Zen: Do you feel centered. Do you finally figure out the meaning of life? Or at least the focus to understand one really important goal in you life? 7. P: Stimulates relationship healing, people-connector: Do you and your travel partner(S) come away closer? More bonded. And connected on a deeper level. Or maybe you just figure each other out a bit more closely. As I have previously stated in a post about Blue Lagoon Iceland: I dream of going here. Someday. Hopefully sooner rather than later. 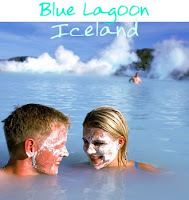 Not only is Blue Lagoon relaxing and stimulating to the mind and body, it looks fun. Sky blue water meets dark black rocky cliffs. Creamy white puffs of steam drifting above your head as you float in the healing warm seawater of the Blue Lagoon. Plus, the on-site restaurant and hotel. And the spa with many healing services and treatments utilizing the naturally healing water of the lagoon. Off the main city strip of South Beach Miami Florida, this oasis of all things zen is the perfect destination for reclaiming your wellness. There is an amazing spa, good-sized pool and pool bar, private beach with day-beds, and a top notch collection of restaurants on-site, including award-winning Azul. This hotel will leave you smiling from ear to ear. You could very well never leave the resort, even though you are in Miami! But if you do seek a bit of night-life-style energizing wellness....Ocean Drive on So Be is just a quick 20 minute cab ride away. This is the place to go if you are seeking to re-coup your wellness at one of the world's top luxury hotel destinations. 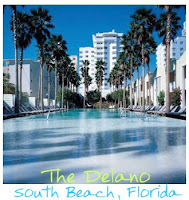 Delano, a Morgans Hotel, is the place where all the A-list celebs stay when they visit SoBe. And we know why....first class everything, without 'traditional', without pretentiousness. This hotel caters to a young jet set crowd who appreciates all things creative, modern, fine, fun and fabulous. With the crystal blue SoBe waters just a few hundred yards from the property, you can either spend a day at the beach or a day at the pool. Or even a day at the newly remodeled spa, Agua. The spa features some miracle working treatments including the Vitamin Infusion facial, at $250 a pop. A special indulgence- you won't regret. Or spend all day in your room with your travel companion, and indulge in some well-deserved relationship wellness. I have been to the Delano several times and it remains my favorite hotel in the world, so far. 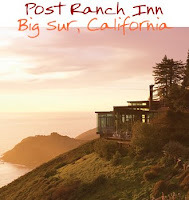 Hidden among soaring redwoods and nestled between thick forests and the crusty bluffs of California's pacific coast shoreline, lies the Post Ranch Inn. It is a tree house hotel. No, really. But don't think you will be roughing it Tarzan and Jane style, this posh resort features 40 guest rooms and private 'houses' situated among the trees of Big Sur. Celebrities including Leonardo DiCaprio and Ellen DeGeneres have stayed at the Inn. It is unique experience indeed, your mind, body and zen-like mood will be catered to in a luxurious organic setting. With little to do but relax, explore and spend time with your travel companion, this is the perfect wellness destination for those seeking a quiet retreat. And a bit of mother-nature-style healing. Located in Trousers Point, this is another wellness retreat featuring Mother Nature at her finest. Connect with nature as you explore the diverse surrounding environment, including blue ocean views, sandy shores, vast cliffs, waterfalls and majestic mountains. 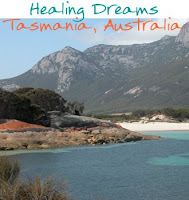 Healing Dreams features numerous wellness style activities and services, thus its name Healing Dreams.... Beautiful vistas meets a healing retreat, away from it all. Wellness, done Aussie style. 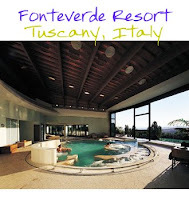 Located among charming villages, classic Tuscan vineyards and valleys, with all the delicious Italian food and wine you can eat and drink, lies the Fonteverde Resort and Spa. This old world retreat allows you to immerse yourself in the Tuscan countryside and get some true 'olive grove' wellness. Those seeking culture, relaxation and appetite stimulation will find their blissful path to wellness in the Fonteverde Resort. 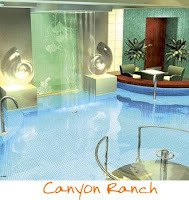 I must include one of the classic wellness retreat brands, Canyon Ranch. Canyon Ranch Resort and Spas are in several locations including Lenox, Massachusetts and Tuscan, Arizona. 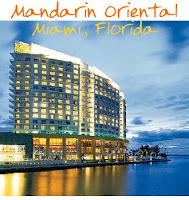 Canyon Ranch even recently completed their wellness residences in Miami, Florida. Now, you can actually own a wellness-focused lifestyle by purchasing a condo. Canyon Ranch is well-known for their all-inclusive vacationing style. All meals, activities and some treatments are included in the fee. Your meal plan will be designed by a Canyon Ranch nutritionist and chef. Your scheduled activities will stimulate both your body and your mind. Hiking, yoga, even Tai Chi are common activities at Canyon Ranch resorts. You can even take home the Canyon Ranch book and try to recreate your new wellness-focused state of mind at home. Choose from treetop suites or spa villas, at this hideaway wellness destination. The spa features a wide range of healing services. But the true wellness comes from the location-Belize. 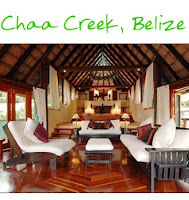 situated in the beautiful Belize rainforest, this retreat will stimulate your body, soul and senses. Chaa Creek is well know for its wide rage of activities including rainforest tours, horseback riding, kayaking trips, beach ventures and even dining explorations. Want to get out of a modern city and into an exotic locale? Head to Chaa, and say Ahhhhhh. I love this! Another all-inclusive resort. This eco-chic resort retreat is perfect if you are looking to kick your wellness-quest into ultra high gear. It's possible with Bikini Boot Camp. All you have to do is show up and participate with zest. And it's not that hard to get motivated for bikini-bliss, when you look at the surroundings. Tulum, Mexico is beautiful! Tropical beaches with clear blue water, beachy bungalow accommodations and a healthy dining plan are all included in your retreat. Also included are the body-sculpting activities like mega-ab and power yoga classes. One note though, these girls mean business! They highly recommend that you do a no-alcohol, no junk-food diet while you participate. And no televisions or computers means that you will have lots of time to workout, and become one with your spirit...and you bikini-ready body. There are a few wellness destinations that focus on my favorite thing: healing water. Both Hot Springs, Arkansas and Warm Mineral Springs, Florida are great examples in the United States. Warm Mineral Springs calls itself the original 'fountain of youth.' And Hot Springs is the place to lounge in one of the largest mineral water pools in he world. (I have been and it is both healing and fun.) 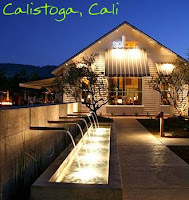 Another USA location for hot springs is Calistoga, California. Located right next to Napa Valley, this small town style retreat offers some amazing vacation deals to achieve wellness. Gourmet dining, hot springs pools and vineyard tours are all a part of Calistoga's wellness experience. This was an every month retreat for my sister and mother and I when I grew up in Santa Cruz, California, and I can vouch for its wellness-qualities all the way. Calistoga, yes as in the water-brand, is a divine little wellness retreat. OK, so I know I said ten. But I had to include Fiji on my list. Fiji is considered to be one of the world's most beautiful locations (if crystal blue waters and white sand beaches are your idea of beauty.) 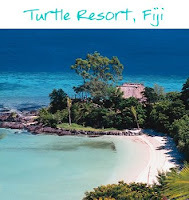 Honeymooners and wellness-seekers have been traveling to Fiji for years, and it doesn't get any better than Turtle Island Resort. Healthy foods are plentiful and relaxation is par for the course. And with no noisy nightlife to clutter your thoughts, you'll be sure to feel like life is your candy store and you're a sugar-hungry kid with a few bucks. Weird analogy, I know, but Fiji really defies explanation....just go if you ever get the opportunity. Fiji is wellness. What wellness destinations have you been to that would make your list??? photos above are owned by the mentioned destinations, hotels and websites - for media purposes.